The Supreme Court Monday said it will examine two days later whether there is material supporting the arrest of five rights activists in connection with the Koregaon-Bhima violence case. "Every criminal investigation is based on allegations and we have to see whether there is some material," the bench, also comprising Justices A M Khanwilkar and D Y Chandrachud said. The bench said if there are some grave lapses, it may consider prayers like an investigation by a Special Investigating Team (SIT) into the case. 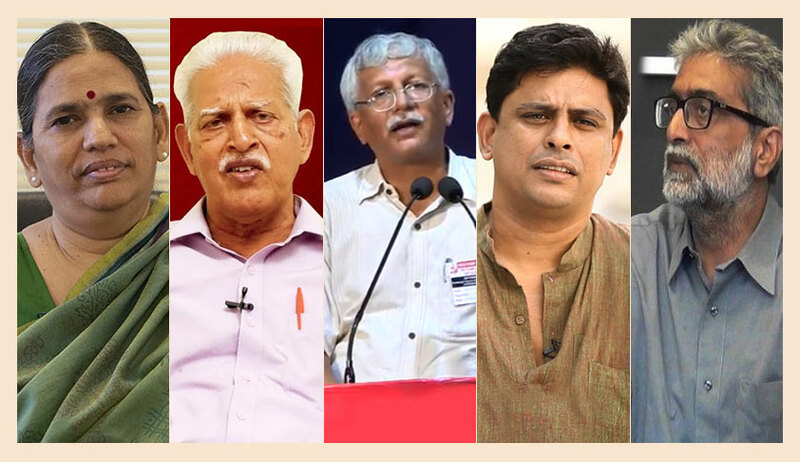 The plea by Thapar and others has sought an independent probe into the arrests and the immediate release of the five activists. The bench fixed the plea by Thapar, economists Prabhat Patnaik and Devaki Jain, sociology professor Satish Deshpande and human rights lawyer Maja Daruwala for final hearing on Wednesday. The court had on September 12 extended the house arrest of the activists till today. The Maharashtra police had arrested the rights activists on August 28 in connection with an FIR lodged following a conclave -- 'Elgaar Parishad' -- held on December 31 last year that had later triggered violence at Koregaon-Bhima village. The Supreme Court had on September 6 taken strong exception to the statement of a senior police officer on the arrest of the activists, saying he had cast "aspersions" on the top court. The Maharashtra government had told the court that the petitioners were "strangers" to the mater and questioned their locus. Its counsel had said there was enough evidence including the materials taken from the activists' computers and other sources which belied the perception of the petitioners about those arrested. Senior advocate Harish Salve, the counsel for Tushar Damgude who had filed the FIR in the Koregaon-Bhima violence, had opposed the plea of Thapar and said it could have been raised in the magistrate's court by the affected parties. Earlier, the Maharashtra government had filed its response to the plea claiming the five activists were arrested due to the cogent evidence linking them with the banned CPI (Maoist) and not because of their dissenting views. The state's response had come in the backdrop of the apex court, while ordering the house arrest of the five activists on August 29, categorically stating that "dissent is the safety valve of democracy". The court had questioned the state police's move to arrest these activists nine months after the incident and said all of them were reputed citizens and "stifling the dissent" was not good.